Dr. Douglas Parrett was born in 1951 and grew up on his father's farm in rural Champaign County. 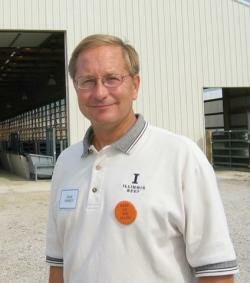 Doug's experiences on his father's farm inspired him to study at the University of Illinois at Urbana-Champaign (UIUC), where he earned a Ph.D. in Animal Sciences. He is currently a Professor and Associate Chair in the UIUC Department of Animal Sciences, a world-renowned center for agricultural education and research.